Jet Airways has sought emergency funds from banks and has reduced the number of flights to five. 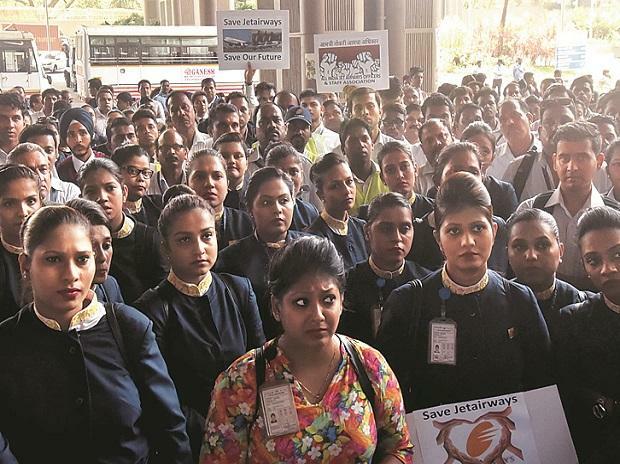 Lenders are divided on how to bail out Jet Airways, indicated a banker on Tuesday as the airline's management asked for immediate infusion of funds and proposed temporarily suspending all operations. "Lenders are committed to a revival plan for Jet Airways," Punjab National Bank's Managing Director Sunil Mehta was quoted by Reuters as saying. "SBI is working on the emergency funding, everything is under discussion, nothing is finalised," he said, referring to the State Bank of India, which leads consortium of lenders. Jet Airways has sought emergency funds from banks and has reduced the number of flights to five, said Civil Aviation Secretary Pradeep Singh Kharola, according to PTI. Jet Airways' shares fell as much as 18.3 percent to their lowest level since August 2015 following the news of the proposed shutdown, as the future of the once-dominant Indian airline appeared increasingly uncertain. Jet is likely to temporarily shut down operations, said business channel CNBC TV18, citing unnamed sources. The channel said Jet's CEO has been authorised by directors at a board meeting to engage with its lenders one last time, and halt operations late Tuesday, if no funds arrive. Separately, an Indian government official told media the funding for the airline was likely to come through and that the banks were not looking to take the airline to bankruptcy court.